Connell, Dow & Deysenroth, Inc.Funeral Home: Raymond E. Burr, Sr.
COOPERSTOWN - Raymond E. Burr, Sr., a long-time resident of the Town of Middlefield who served for 30 years as a Justice of the Peace, died unexpectedly Saturday night, September 10, 2011, at his home. He was 81. Born July 24, 1930, in the City of Binghamton, he was the son of Raymond L. and Josephine M. (Lawlor) Burr. A graduate of Cooperstown High School, Class of 1948, he was a member of the undefeated 1947 Cooperstown High School football team that was inducted into the Cooperstown Central School Hall of Fame in 2010. Following high school he attended Holy Cross University on a football scholarship. He then enlisted in the United States Air Force and proudly served his country during the Korean War and received his honorable discharge in 1954. On August 27, 1955, Ray married Mary Moakler in a ceremony at St. Mary's Roman Catholic Church in Cooperstown. They were married for 34 years until Mary died October 3, 1989. 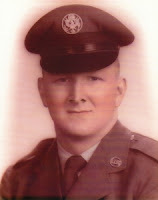 Following his service in the military, Ray was employed with IBM in Poughkeepsie. After retiring from IBM in 1971, the Burr family moved back to Cooperstown. In 1975 he entered into employment at Mary Imogene Bassett Hospital in Cooperstown, and served as a maintenance technician until retiring in 1995. Ray was a dedicated public servant, and from 1980 until 2010 he served the Town of Middlefield as a Justice of the Peace. He was also a member of the Clark F. Simmons American Legion Post No. 579 in Cooperstown and Cooperstown Fire Department Engine Company No. 1, where he was a past Fire Police Captain. In his leisure, he enjoyed golfing, and was a long-time member of the Leatherstocking Golf Course. Ray will be remembered for his well-intentioned sarcasm and side comments. Area roads will not seem the same without Ray behind the wheel of his black van and the ever present United States flag flying on the roof, a tradition he started in 2001 immediately following the events of September 11th. He will be missed by his family and friends. Ray is survived by three sons, Michael E. Burr of Thomaston, CT, Raymond E. Burr, Jr., and his wife, Lisa, of Cooperstown, and Stephen P. Burr and his wife, NJ, of Cazenovia; four daughters, Lee Ann Burr of Washington, D.C., Joanne O'Connor and her husband, Thomas, of Baldwinsville, Mary Ellen Juedes and her husband, Richard, of Waterford, and Susan Delello and her husband, Mark, of Sidney; 16 grandchildren, Stephanie, Kristin and Brian Burr, Michael, Ray, Jr., Bart and Wade Burr, Ellen, Peter and Tim Burr, Megan and Lauren O'Connor, Sara Juedes, and Markus, Lyndsay and Meridith Delello; one sister, Mary Leslie, of Springfield, VA; and many, many nieces and nephews. In addition to his wife, Ray was preceded in death by their infant son, James, who died in April 9, 1960, and a daughter-in-law, Diane Burr, who died October 27, 1992. Ray's family will receive friends at the Connell, Dow & Deysenroth Funeral Home, 82 Chestnut Street, Cooperstown, from 4-7 p.m. on Thursday, September 15, 2011. A Funeral Service will be offered at the funeral home at 11 a.m. on Friday, September 16, 2011. Following the service in the funeral home, Cooperstown Fire Department's 1952 Mack E4 will bear Ray to St. Mary's Cemetery, Index, where he will be laid to rest with his wife, Mary. Following the service of committal and burial, Military Honors will be accorded by members of the Clark F. Simmons American Legion Post No. 579, Cooperstown. In lieu of flowers, expressions of sympathy in the form of memorial gifts may be made to "Cooperstown Central School District" for the Mary Moakler Burr Scholarship for Nursing, Cooperstown Central School District Business Office, c/o Amy Kukenberger, Business Manager, 39 Linden Avenue, Cooperstown, NY 13326. Ray's family would also appreciate memorial gifts to Cooperstown Fire Department, P.O. Box 1, Cooperstown, NY 13326. Envelopes will be available at the funeral home.